Every year Ewe people of Ghana celebrate Hogbestotso, a festival that commemorates the journey from their former home of Notsie in Togo to their present home in Ghana. 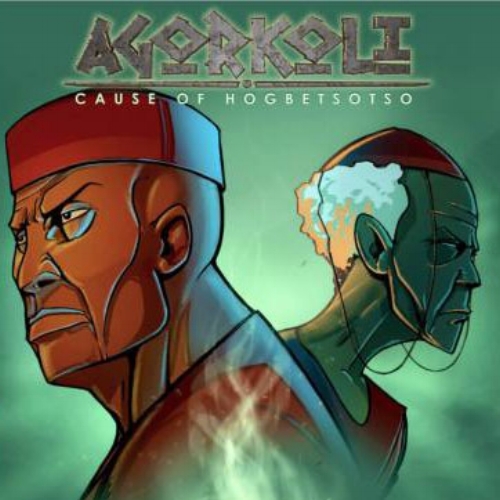 Agorkoli - Cause of the Hogbetsoso is an award-winning short film that explores a time in Ewe history where the Dogobo and Notsie were united under one kingdom. Until a conflict between their rulers resulted in a series of catastrophic events and the enslavement of the Dogobo. Following the film screening, join our discussion with special guest Patrick Vernon, an expert on African and Caribbean Diaspora family genealogy. Together, we explore what stories of home do you carry with you and what could this reveal about the legacy left behind in former generations? Even more so, in the absence of such stories, how can we begin to trace family lines beyond the borders that we are familiar with? Patrick Vernon shares his journey after undertaking a Mitochondrial DNA test, he discovered a long lineage of maternal ancestors over a 2-5000-year period to the Mandinka peoples and a village called Kedougou, which means ‘Land of the Man’ in Senegal. Learn where to start your journey of self-discovery and ways to map your heritage.